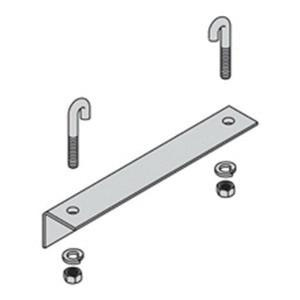 B-Line Runway wall angle support kit includes one angle bracket, two J-bolt and 5/16-Inch 18 hardware. Angle bracket features 6-gauge steel/ASTM A569 construction and yellow zinc finish. Kit helps in securing cable runway to a wall.